A Muslim gentleman offers Hatun £5000 if she can find any changes in the Arabic Qur’an. Whoops! Author DCCI MinistriesPosted on 4 December 2018 Format VideoCategories Speaker's Corner, VideosTags 31 Qur'ans, debate, Hatun, Islam, Jesus Christ, Speakers Corner, truth2 Comments on £5000 reward! Painful day for the Islamic Da’wah team. Islamic Dawah Team claims you need to know Arabic to talk about the textual variants in the Qur’an. The topic is the different Warsh Qu’rans. Throughout the centuries, Muslims have claimed that the Qur’an is a uniquely pristine book, with no additions, deletions or any other form of editing, and that its perfect preservation is proof of its divine origin. It’s so perfect, the saying goes, that “not even a dot has changed” since the time it was revealed to Muhammad. Now more astute Muslim scholars (like Shabir Ally) are clever enough to realise this is a silly thing to say, because dots didn’t exist in Arabic at the time of Muhammad; the earliest Qur’anic manuscripts do not have dots at all, because both the tashkil (vowel signs) and the dotting were not introduced until the late 7th century, approximately 60 years after the death of Muhammad, and wasn’t standardised until centuries later due to disagreements among Muslims about what those standards should be. You can read in greater depth on this topic at the Islamic Awareness website. And yet this not-a-dot-has-changed claim has been repeatedly trotted out by world famous Muslim apologists like Zakir Naik and the late Ahmed Deedat. The claim is then repeated by Muslims ad nauseam as bread-and-butter fact despite being total nonsense. Shame on those Muslim apologists who are well aware of this fact but haven’t set people straight. Some Muslims argue that this “not a dot changed” line is hyperbolic rather than literal. 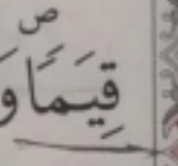 So what they really mean is: regardless of developments in Arabic orthography, nevertheless the actual words of the Qur’an have never been changed, because even without the manuscripts, we have the beautiful unbroken chain of oral transmission to prove it! In which case, dots are neither here nor there. Really? Except the very claim is one of literal-ness, the point being that the Qur’an literally, to the letter hasn’t been changed. So to make this claim in the hyperbolic sense and not the literal sense is literally self-defeating. Also, the ‘hyperbolic device argument’ allows Muslims to niftily sidestep any detailed textual criticism of the Qur’an. And they are understandably keen to avoid it. Why? Because as we will see, using the “no dots changed” argument as proof for the Qur’an’s divinity becomes a total nightmare for Muslims when we look at the facts. Is my house supposed to support me or it is it ‘values’, meaning presumably valuable/a source of value? If you own a house it is valuable, but it is not necessarily your means of support. The different versions have introduced an element of ambiguity to the message. 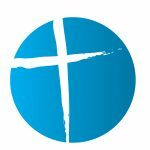 Is this difference theologically significant? Doesn’t seem like it, but that’s not the point. The point is, here is irrefutable evidence of a textual variant in the Qur’an, which Muslims have long claimed to be pristine, unaltered and therefore divine in origin. The dots have been changed. 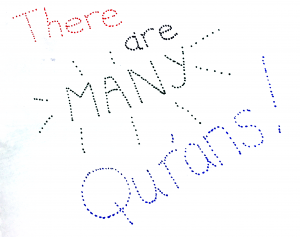 Muslims argue therefore that Qur’an allows for both meanings, ‘means of support’ and values. But can they really have their cake and eat it? With different markings the same word can also mean: while, valuable, so that, so it (or he) grew, or so they both finished. 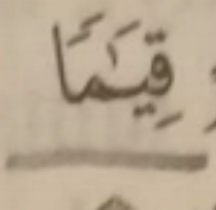 For the sake of argument however, let’s be charitable and agree the word we quoted from the rasm is Sura 4:5 – it still leaves Muslims with a tricky problem, namely that the text cannot speak for itself. Arabic speakers can’t read it without imposing on it what they now know from the Qur’an we have today. To present this as evidence for the Qur’an’s perfect preservation is a wild stretch, when it is inconclusive at best. Doesn’t matter, Muslims argue, because we can rely on the beautiful unbroken chain of transmission to clear up the ambiguities. And it’s to this we will turn our attention in our next article. Author Lizzie SchofieldPosted on 26 September 2017 15 November 2017 Categories Arabic, Islam, Qur'anTags 31 Qur'ans, Arabic, Islam, Polemics, Shabir Ally, Speakers Corner2 Comments on Join the dots….